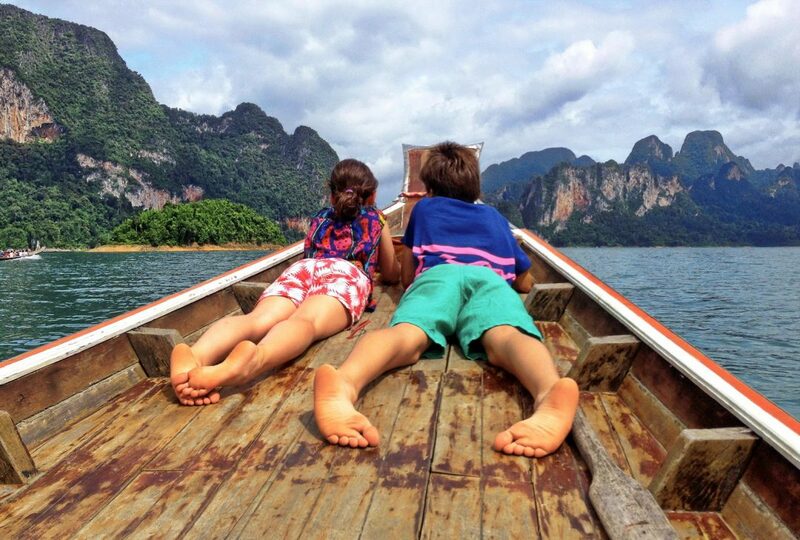 An escorted, 2-week Thailand family tour; ‘Jungles and Islands’ offers spectacular sights, stunning landscapes, a wide range of activities and plenty of great food and friendly people. 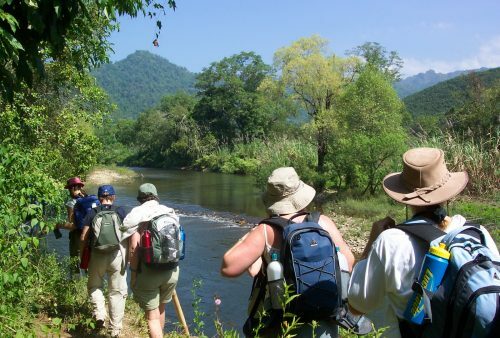 This exploration of some of the well known – as well as some of the lesser visited – highlights of western and southern Thailand makes an ideal tour for all ages and every member of the family. 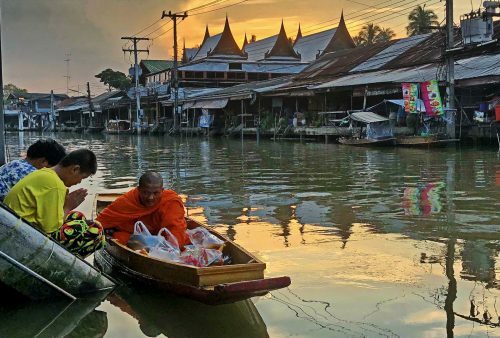 Visit the famous sights and ‘behind the scenes’ of Thailand’s fascinating, bustling capital, Bangkok and explore its canals and local markets. 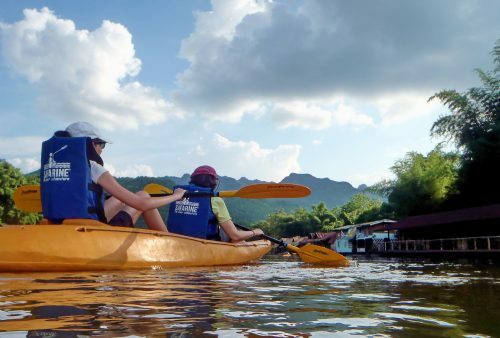 Canoeing down the famous River Kwai, hiking along the route of Kanchanaburi’s historic ‘Death Railway’, travelling by boat through the lush rain-forest of spectacular Khao Sok National Park, snorkelling on coral reefs and lazing on unspoilt beaches are just some of the highlights you’ll experience on this fantastic introduction to the real – off the beaten track – Thailand. 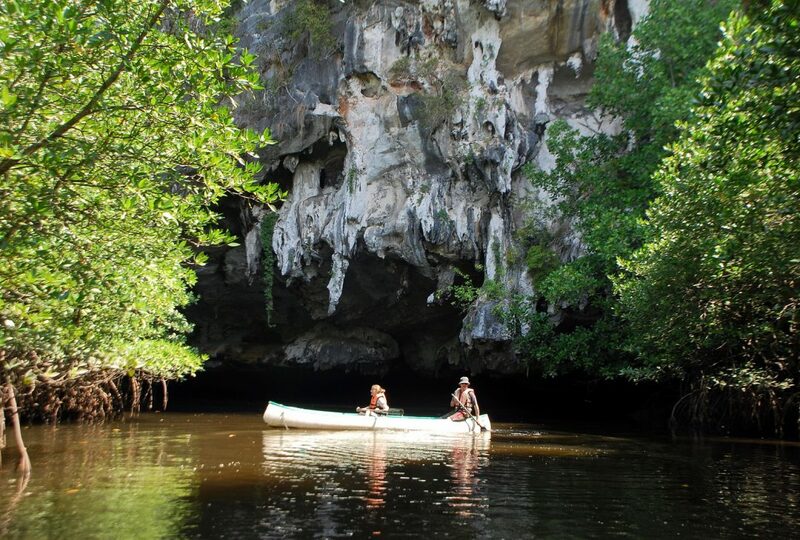 An alternative version of our Thailand family tour; Jungles and Islands, is offered during the May to September period to avoid the western monsoons on the Andaman Sea coast. 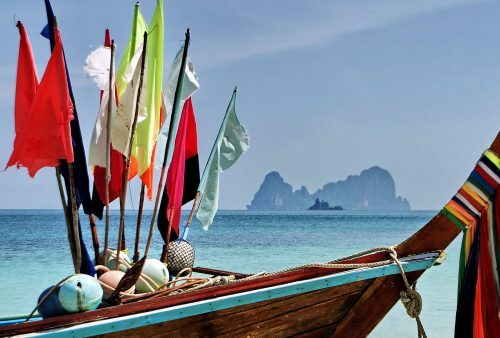 Our island, beach and snorkelling activities are shifted to the tranquil and secluded Koh Thalu on the sheltered Gulf of Thailand. 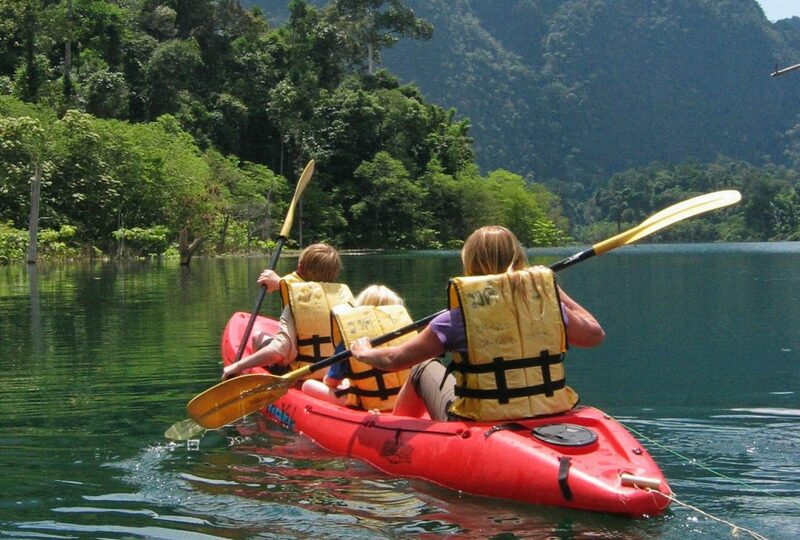 This is a private family tour and therefore can be organised on dates to suit your family and does not have set dates. The price is based on a family of 4 sharing two twin/double rooms. Flights are extra and vary according to the season. Please ask for our most competitive quote. 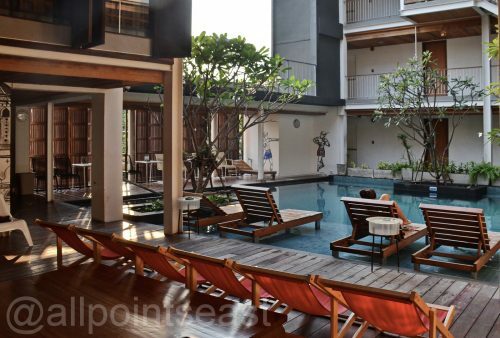 Arrival in Bangkok and check in to a downtown hotel in the City’s lively Banglamphu district. Time to relax, explore the area or check out some local markets. City tour with a difference! Bangkok by riverboat, sky-train, tuk-tuk and canal boat. 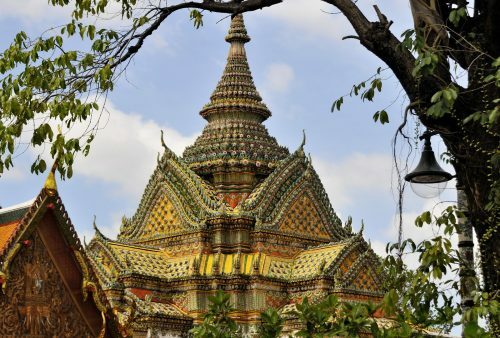 Stop-offs include the Grand Palace, fabulous Wat Phra Keow – “Temple of the Emerald Buddha” – and the fascinating Jim Thompson House Museum. 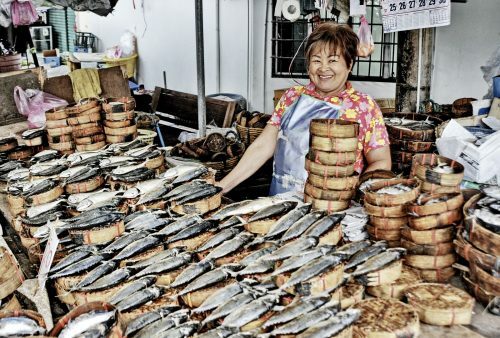 Off into Bangkok’s leafy and canal-lined suburbs with a stop at the famous Mae Klong ‘Railway Market’ plus a chance to discover some of the area’s local industries such as sea salt production and parasol fabrication. 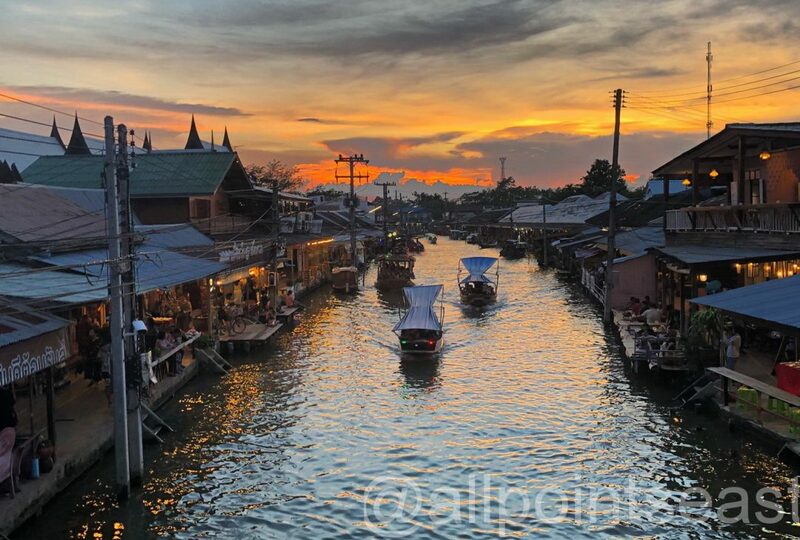 Check-in to our accommodation in waterside Amphawa with an evening visit to a floating market and perhaps a firefly viewing boat trip. Morning boat trip along the area’s canal before a departure for Kanchanaburi Province where we’ll take the local train over the Bridge on the River Kwai and along the scenic, but infamous, ‘Death Railway’. 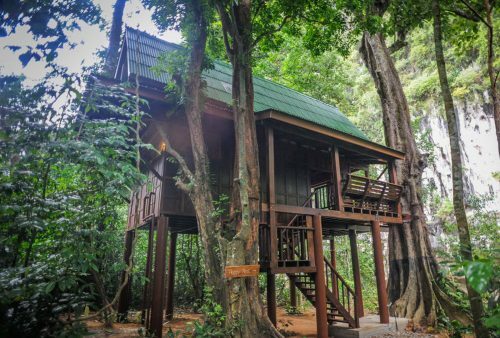 Afternoon visit to Sai Yok Noi Waterfall and short jungle hike through the lush surrounding jungle before checking into our riverside resort. Departure for nearby ‘Hellfire Pass’; visit the fascinating museum and hike along the former route of the ‘Death Railway’ itself. (So named because of the numbers of local workers and Allied POWs who died during its construction by the Japanese army.) Afternoon expedition down the jungle-lined River Kwai with a choice of kayaks or 2 person canoes for the uninitiated. 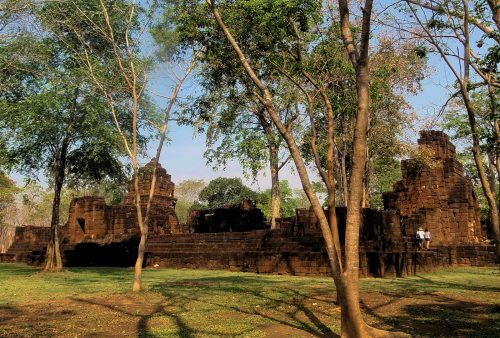 Complete our Western Thailand loop with a return to Kanchanaburi Town by way of the impressive 12th century ruins of Muang Singh – a former, fortified, frontier town of the Angkor Empire. 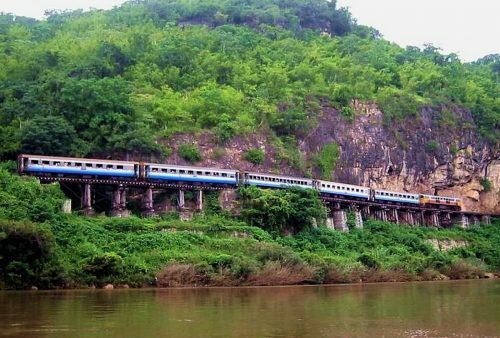 Time to visit some of the sites of Kanchanaburi Town on foot or bicycle, such as the ‘Bridge on the River Kwai’ and war museum before catching a night sleeper train to the South. On to Khao Sok in Surat Thani Province – acknowledged as one of Thailand’s most spectacular National Parks with its dramatic limestone karst scenery, lakes, waterfalls and lush jungle Three-day exploration of the park including canoeing or tubing, a boat trip on the lake and jungle hiking, with plenty of time to relax, splash around in the streams and waterfalls or just kick back in your chalet and admire the fabulous tropical flora and fauna. Day hike through the lush rainforest to a scenic waterfall for a ‘jungle picnic, and chance to cool off in the clear waters. 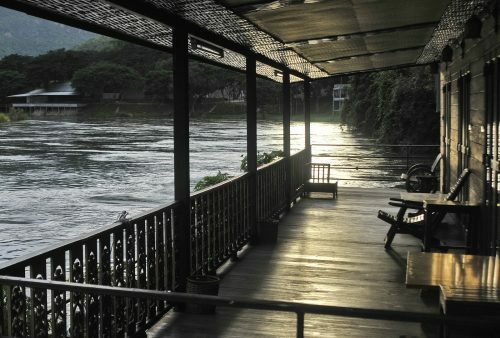 Return to our resort in the afternoon for some quality verandah time and perhaps check-out a well deserved sundowner? 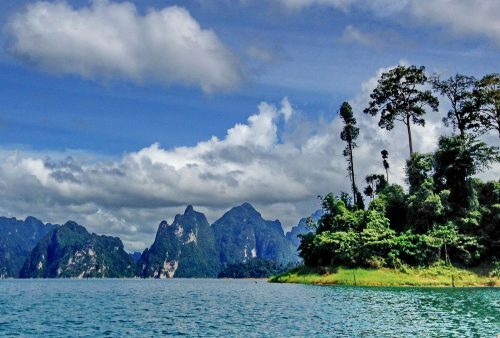 A boat trip through the fabulous scenery and karst landscapes of Chiew Lan Lake in Khao Sok National Park with stops to visit lake-side caves and of course a dip in the crystal waters. Morning minibus transfer through more spectacular scenery to nearby Krabi Province for a short ferry ride to the Andaman Sea’s scenic Lanta Island. 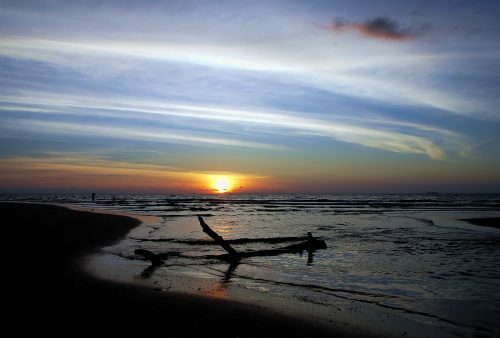 Day 12 - Koh Lanta - check out the Marine Park? 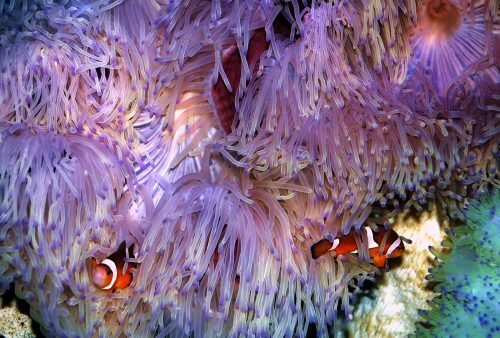 Optional boat excursion through the spectacular Chao Mai National Marine Park with opportunities for swimming and snorkelling on the regions vibrant coral reefs. 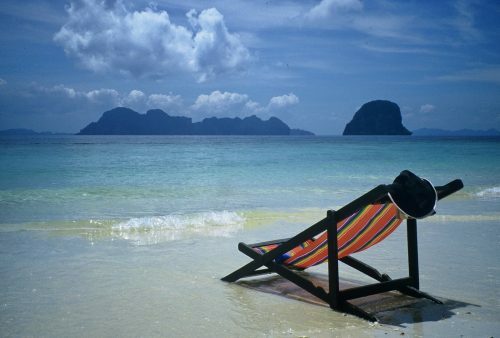 Morning on the island topping up your suntan, before transferring to Krabi for a flight to Bangkok and end of tour. 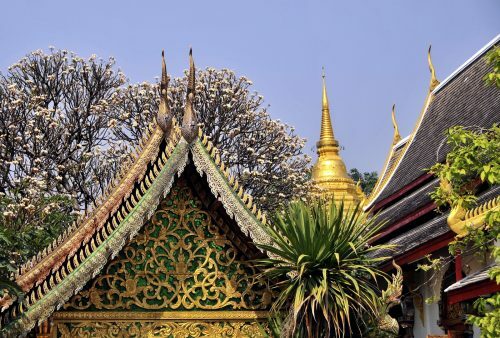 Extra nights in Bangkok prior to, or after your tour, or additional nights on the island are available on request. 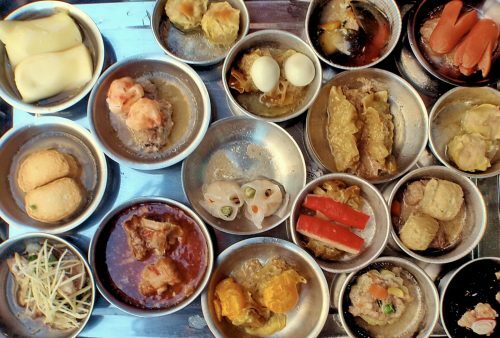 This tour is fully accompanied with the exception of the island stay on days 10 to 12.
" 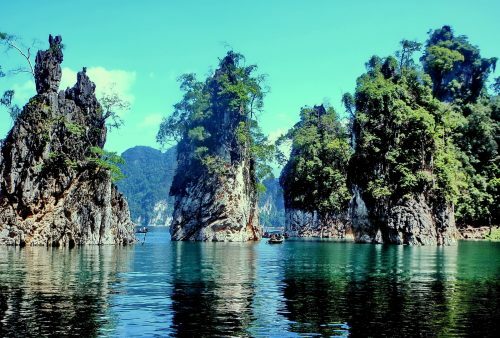 Wonderful Thailand 'Jungles and Islands' trip with my two teenage girls. Very knowledgeable and friendly guides. Visited temples, waterfalls and islands we'd never have found on our own. 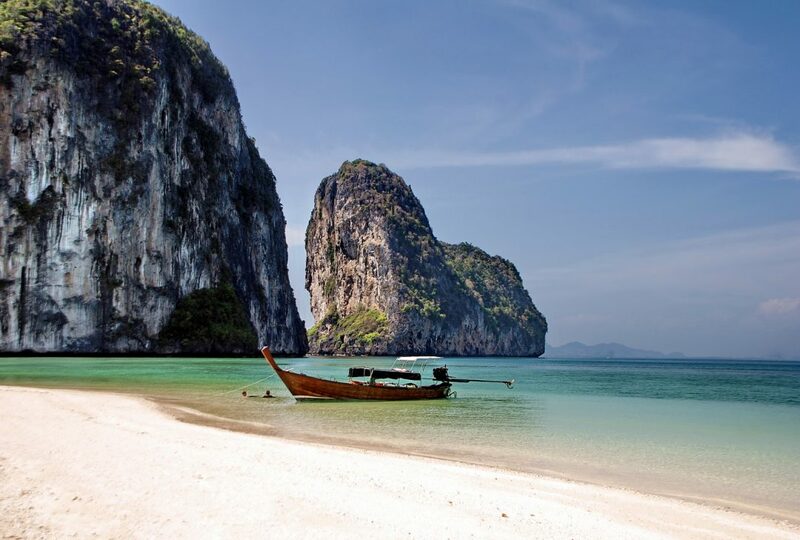 Great combination of culture, exploring and beaches!
" Booked a trip to Thailand through this company in October last year. Excellent service from booking to completion of the tour. Saw parts of the country that you wouldn't see normally, with a local tour guide fluent in English and Thai. 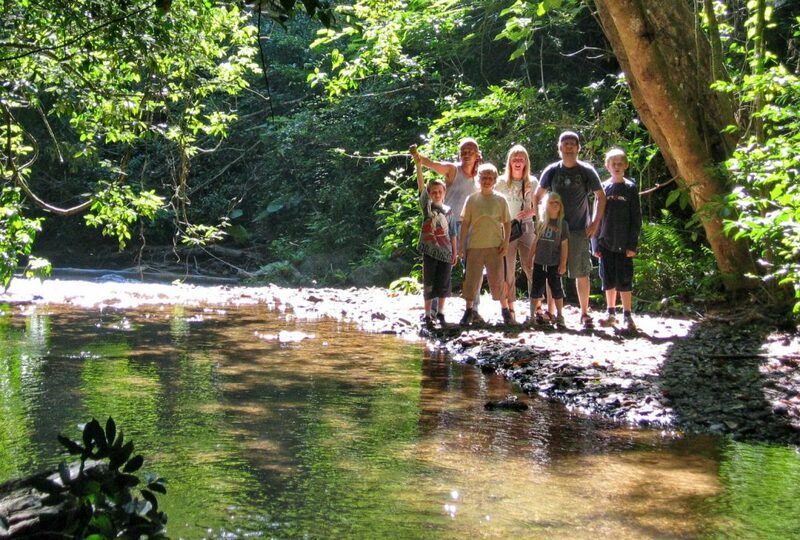 Already booked our next adventure with them to Borneo for this year! Wouldn't go to Asia with any other tour company! " " "Thank you for putting the trip together....the variety of activities and the different types of transport was great, as was the feeling that we were off the beaten track to a large extent. Many thanks for a holiday we will all remember for a long time." 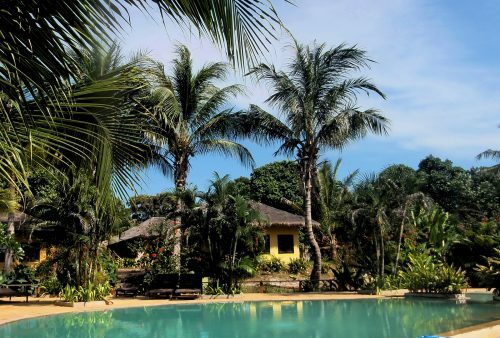 "
" For those who want an adventurous holiday, but don’t want to plan it or be part of a big anonymous group, Gecko Travel, (now All Points East), sets a standard that is hard to beat. " 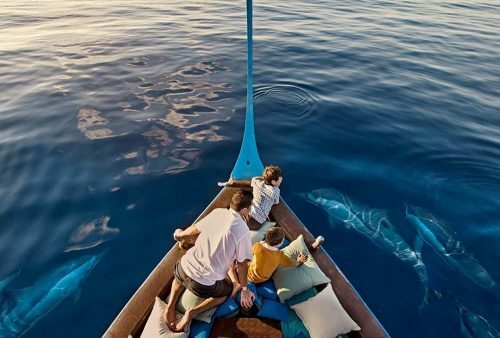 " We had an amazing time and one that has seriously wet our appetite for future adventures! The holiday was packed full of wonderful experiences; - beautiful places, exciting activities, fascinating culture, lovely people and the right amount of rest and relaxation. Everything was perfect and impeccably organised. Our tour guides could not have done a better job. They were fun, knowledgeable, conscientious and really enjoyable to be around. Thank you.....it really was perfect and we will definitely be back. "